For large companies, with big budgets, structuring URLs on the top-level domain is a great option. Using this structure means you create separate websites for every country that you want to serve. The biggest advantage of this structured framework is that search engines can easily see what country your website focuses on. A disadvantage is that it costs more, in both time and money. On the other hand, for smaller companies, structuring your website using subdirectories is probably the most attractive option. This structure is easy to set up, and you can use Google Search Console for geo-targeting (i.e. to connect a website to a land or region). However, a downside of this strategy could be that a user may find it difficult to figure out which country’s site he or she happens to be looking at. Also, setting up separate websites can be more difficult using this structure. The best option for structuring your website and SEO activities depends on your overall objective, SEO goals and budget. Most websites are generally offered in the language of the country in which they are based, with the English version as an alternative. This is founded on the assumption that any non-domestic visitors will be fine with using the English version. In marketing, though, it is very important to speak the language of your target group. This also applies to international SEO! Our advice is to invest in good translations. You best serve your (potential) customers when you approach them in their own language; there is less room for misunderstanding or misinformation. Breaking language barriers through effective translation also brings you much closer to your customer. In addition, generating good translations doesn’t have to be difficult today: easy and user-friendly online tools such as Simply Translate can be very helpful. Every language has its peculiarities. That is why we advise you to conduct a separate keyword analysis for each country’s language. It is quite possible that the online community in a given country uses unique terms for a particular global issue. As a result, a term that looks very promising in English, yielding a high search frequency and low competition, can be less promising when translated literally into German. Consider this illustration: in country X, people often speak of ‘lost items’. You could write an SEO text about lost items and translate it literally into another language. But, people in country Y speak of ‘found items’ instead of ‘lost items’. It pays to conduct individual keyword analyses for each country, to take into account the peculiarities of language use in that country, and to ensure that the analysis is up to date as well. In Webtexttool, you can use the Keyword Suggestion Module to conduct keyword analyses for more than 25 countries. For search engines, backlinks (links from other websites to your website) are signals or indicators of the relevancy of your website. A recent development is that search engines now look more critically at the domains where these links are placed. This means that easily obtained links ‘weigh less’ than a link from a strong domain about a related topic. In addition, the links you build for your international site(s) in your own country are very valuable for your SEO. At the same time, the value increases when you build links (for each domain as applicable) from the target country. This means putting more effort into reaching out to local websites and ensuring that your content is easy to find locally. Investing in backlinks, just like SEO, is a long-term strategy and investment plan that lays a strong foundation for your website’s findability. 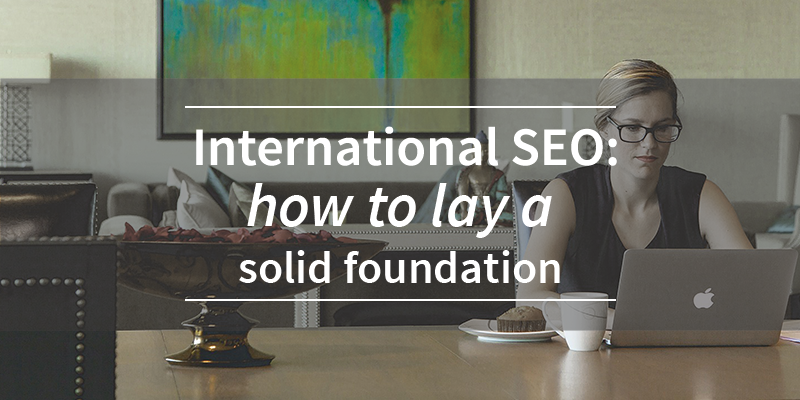 These are, we think, the four key features to ensuring a solid foundation for your international SEO strategy. Create your free webtexttool account below and start optimizing your web content!